NBA Playoffs and Finals 2016-17 season will start this Sunday and we are all excited to watch our favorite team battle their way to the finals. 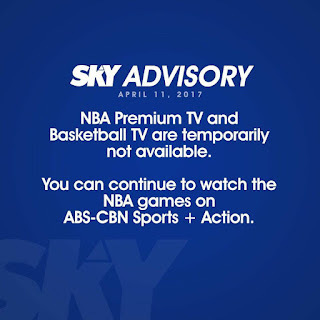 Early this week Sky Direct and Sky Cable subscribers are having problem on airing NBA Premium TV to their subscribers and put a notice that it is temporarily not available. With that simple message on screen, subscribers have no idea how long will it take to restore the channel. Some subscribers go out to social media pages of the provider to seek for restoration date, demanding for a refund and frustrations about NBA Premium service. 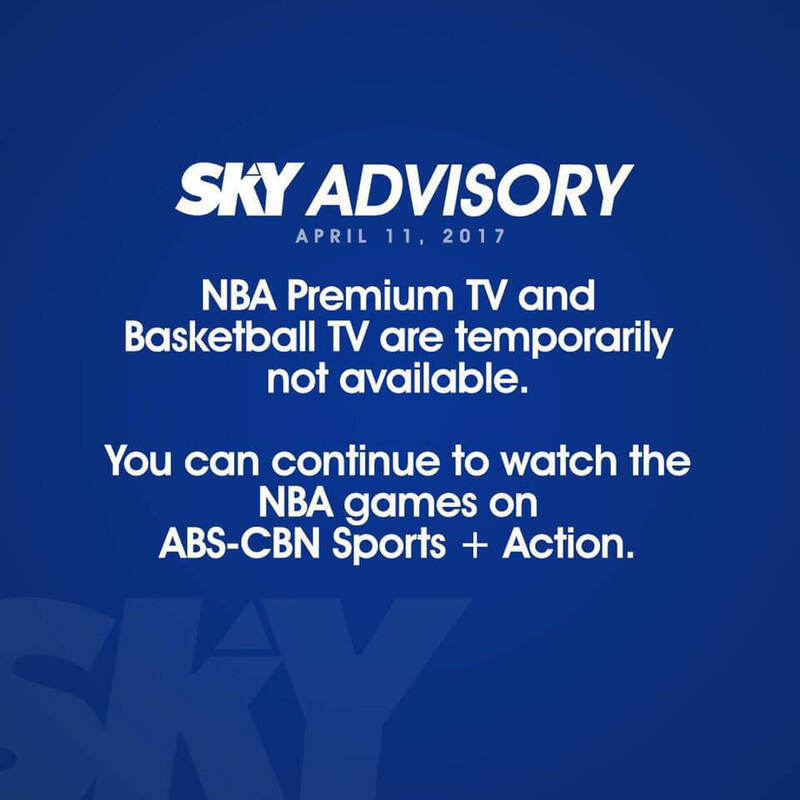 In the latest update or advisory posted on their website, SkyCable / SkyDirect inform their subscribers that Solar Channels including NBA Premium, BTV, Solar Sports, Jack TV and CT are temporarily unavailable. It is also mentioned that they are working for the resolution, but they cannot comment more details about it. As an alternative, NBA fans can watch live games at ABS CBN Sports + Action and Fox Sport channels. You can also check channel 25 and social media pages for airing schedule of NBA Playoff games that will start this Sunday. Above schedule are for confirmation. You can visit Sky Cable website link above for updated schedule of games.